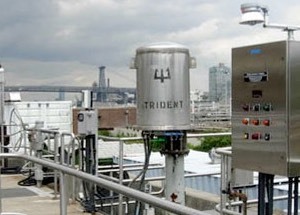 Trident valve actuators are manufactured exclusively by Marine & Industrial Hydraulics, Inc. in Mamaroneck, NY. The company's gold standard actuators are in use in facilities throughout North America that control the flow of fluids through pipe and channels. Trident actuators are known for their unparalleled sustainability and performance as unitized actuators for both rotary and linear applications.